Written By: Arthur Lange, Ed.D., Albert Ellis, PH.D.
Life can get tough. From unemployment-or overwork-to divorce or remarriage, the challenges of newly blended families, not to mention everyday hassles, stress can feel non-stop. To top it off, technology confronts us with a barrage of seemingly urgent tasks 24/7. It's no wonder things and people can make you lose your cool. In this landmark book you'll find a very specific, powerful skill set designed to help you keep any scenario from pushing your buttons-and it works. 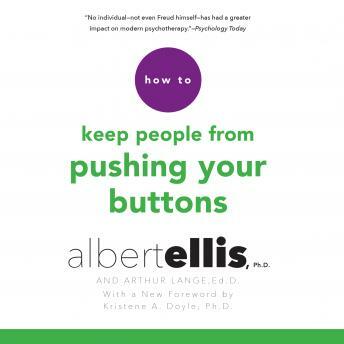 Whether you're dealing with colleagues, parents, kids, friends, or lovers, How to Keep People from Pushing Your Buttons will show you how to enjoy an active, vibrant, successful life. by Arthur Lange, Ed.D., Albert Ellis, PH.D.